Tired of the Kindle Fire ads as your tablet's background wallpaper/screensavers? 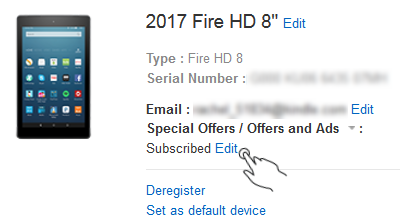 Ready to remove the Kindle Fire "Special Offers" and suggestions of what "Customers Also Bought"? Great, then I'll show you how with this fabulous tip! It's not too hard, so keep reading and decide if you want to remove these "offers" and ads. 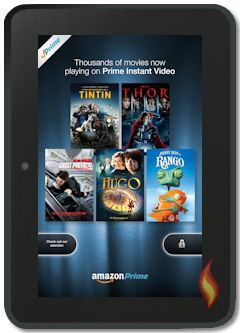 When you're done, be sure to see my other Kindle Fire Tips too. This article is for all Kindle Fire tablets released since 2012. (Not sure which Kindle Fire you have?) The only one that doesn't need this article is the original Kindle Fire. Unfortunately, most tablets released 2012-2014 will not let you add your own custom background images because Amazon blocked this ability. HOWEVER, they finally opened it back up with their updated Fire OS (operating system) for some 2014 models and all Kindle Fires released since 2015. See my Add a Custom Wallpaper Tutorial for detailed instructions on changing your Kindle Fire background and using your own photos or images. First, I'm going to show you the two types of ads and offers you can remove. 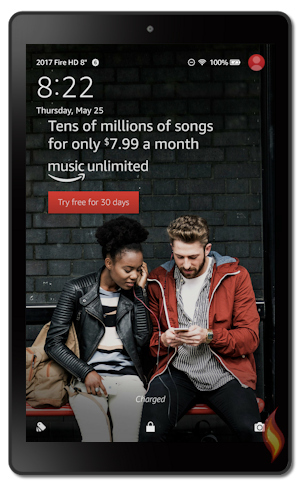 The "Special Offers" are the background ads you see when you first turn on your Kindle Fire (or come out of sleep mode). 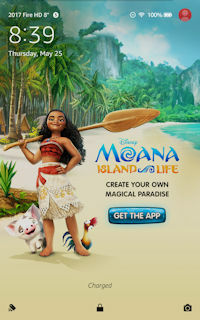 They are the large, full screen ads, or screensavers (shown below). 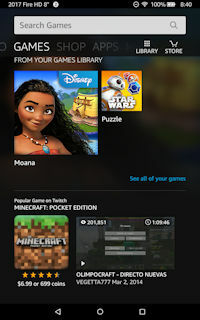 The other ads are the books, apps, music, videos, etc that appear below the carousel (only in portrait view) to display what "Customers Also Bought," as I've shown below on the right. Now on to the rest of this tutorial! You can choose to unsubscribe from the special offer ads, but please be aware that it will probably cost you $15.00. According to Amazon, the special offers help offset their profit margin loss because they sell the Kindle Fire for less than what it costs to make. Thus, they require customers to pay the extra moolah to remove the ads. If you don't care about the special offers, then hey, saving $15 bucks on such a fabulous tablet is worth it! And sometimes there are promotional deals from Amazon that are worth seeing. Go to Amazon.com and login with the account that is registered to the Kindle Fire. The following are the step-by step instructions from the beginning. On the next screen you should see all Kindle Fire tablets and devices registered to the account you logged into. If you have more than one Kindle Fire locate the one you wish to remove the ads from. A window will pop up asking you if you want to unsubscribe, explaining why you are asked to pay the extra $15 (because you purchased your Kindle Fire at a "subsidized price"), and that you will be charged $15 for unsubscribing from the special offers and ads. And that's what ya gotta do! Removing the display of items purchased by others (from below your carousel) won't cost you any money, just a little time since you can turn this off in your settings. Okay, are you ready to turn off the annoying, "Customers Also Bought" feature? Please note that removing this option will NOT remove the App Store feature of, "Customers Who Bought This App Also Bought...". As far as I can see, you're stuck with that one. 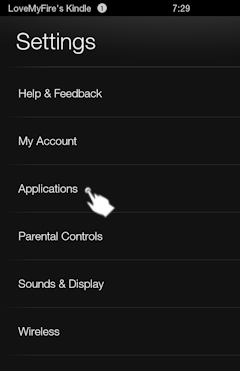 To exit, just tap your home button and there you go! No more recommendations from Amazon. 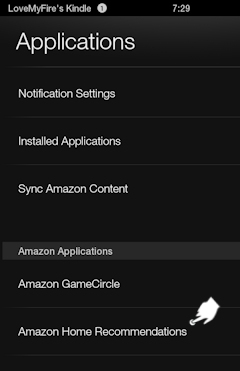 Go to settings -> Apps & Games -> Amazon Application Settings -> Home Screen Settings -> "Home Recommendations is the top option. Just tap it to turn it off and you're good to go! If you found this tutorial helpful please let me know by posting a testimonial, leaving a comment at the bottom of this page, posting your thoughts on my Facebook page, or sharing this page with others (see share options at the bottom). Thanks! 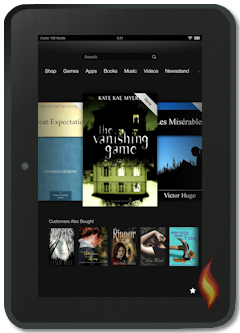 See my Kindle Fire Tips & Tricks page for more great resources!